Over the years Aphrodite Property Sales has worked with many companies involved in the property purchasing process and companies that can help you find your feet once you arrive in Cyprus. Below is a list of companies that we have current associations with from various sectors of the industry. If you cannot find what you are looking for please call Peter on +357 99 147 069 who is known as ‘the urn of knowledge!’. Mantis & Athinodorou LLC is a forward thinking Paphos Law firm, with a proud legacy. We were established in 1979 by Penelope Athinodorou-Mantis, the first female lawyer in Paphos, Cyprus. Through dedication, hard work and a positive outlook she enabled the firm to became one of the leading and most prominent institutions of its kind, in Paphos. Situated in Paphos, Cyprus, Evangelismos Hospital is a leading medical facility created by distinguished medical professionals who share a common concern for public health and human dignity. On June 10th 2001, Evangelismos’ opening day, this vision became reality, continuing the bright course that has been forged by Greek medicine through the ages. We offer a wide range of clinical and diagnostic healthcare services to the local community and beyond. Ampersand Interiors was formed in January 2005, by owners Glen Young and Andreas Pavlou. Our aim is to supply a full interior design service to suit our client’s individual requirements to a standard second to none. We only work with quality products which we source from companies throughout Europe. By doing this we can ensure our clients complete satisfaction with the end result. The world is becoming more and more connected and so should your business. 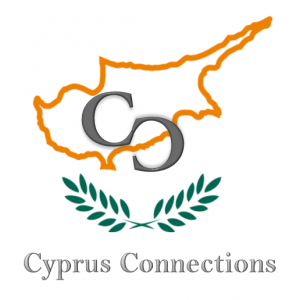 Cyprus Connections aims to connect people both in Cyprus and globally. Whether it be businesses that would benefit from mutual cooperation, individuals looking for specific services or those who wish to connect through a mutual mindset or passion, we all deserve the right connections.